When you think of Chicago I guarantee you don’t think of a music festival on the beach. Well Mamby on the Beach is just that. 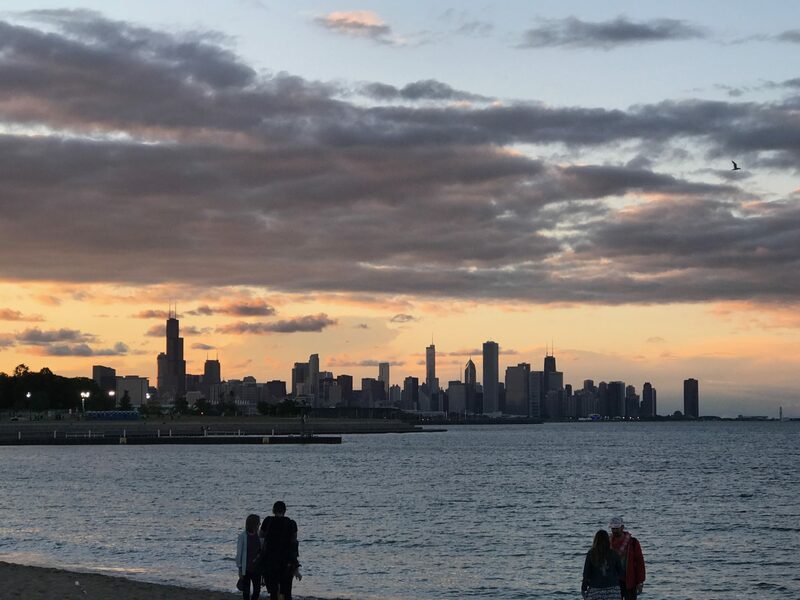 Not only is Mamby a music festival located in the city of Chicago, it might just be the best one the Windy City has to offer. In its third year, Mamby has really found its niche as a festival. The eclectic lineup ranges from indie-pop to techno to local Chicago rap. While this might sound all over the place, it’s really where the festival excels. Being able to bop around from the electric feel of MGMT and Miike Snow to House music staples like MK and The Magician while having the sand between your toes is unlike anything. Especially with the Sears Tower in the background. (Yes, that’s right the SEARS tower). We’ve written about the defunct Wavefront Music Festival, which brought Chicago dance music to the forefront, on the beach, and it seems Mamby is a suitable replacement to fill the void. From a personal standpoint, the highlight of the weekend was Green Velvet. In the headlining spot, Curtis Jones made it feel more like a house party or family reunion than an actual DJ set. He brought his longtime collaborator Dajae to sing his alter ego Cajmere songs in between his classic Green Velvet tracks. Cameras ready. Prepare to flash. The set was a testament to the impact that Green Velvet has had on dance music. The fact that the artists who had already performed earlier in the day stayed to watch and dance on stage during his set confirms he Green Velvet took everyone to La La Land. I mainly hung out in the Mixmag Tent, seeing Tchami, Justin Martin, MK, Lee Foss and Dirtybird Artists Justin Jay, Will Clarke and Fancy Fux. Check out some of Will Clarke’s set below. The indie scene is not normally my thing, mainly because music shouldn’t take itself so seriously you can’t dance to it. Miike Snow is indie-dance and I did venture out and was throughly impressed with Shaed & STRFKR. “Interesting” things I saw at the festival. Lee Foss & Latum went b2b for 30 minutes when their sets overlapped with setting up equipment. VERY GOOD. Relief Records had a merch tent but it essentially was a meet & greet tent for Green Velvet who joked and posed for pictures with fans all afternoon until his set. This is the second festival in a row I’ve seen Justin Jay and Will Clarke in the crowd just hanging out. So cool to see when artists enjoy the music scene they are apart of. A girl pee herself in the sand. If you see a guy in a basketball jersey of a random 90’s basketball player at a Chicago music festival. Come say hi. But don’t interrupt my dancing. We’ll surely be checking out Mamby again next year, make sure you do too!